Beast tackles beast.. Triangle FC captain Ralph Kawondera tussles with Dyamons Captain, Ocean Mushure for the ball during a league match played at Gibbo Stadium. 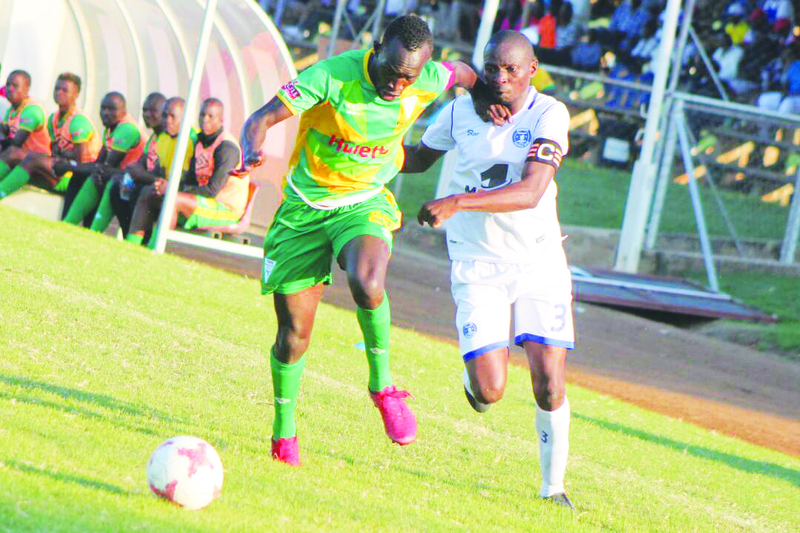 TRIANGLE-With the Castle Lager Premier League title virtually out of reach for sugarcane growers Triangle FC and former champions Dynamos FC the teams have their eyes firmly on the knockout Chibuku Super Cup trophy. If the hunger is genuine that the two teams are showing for the Cup the team that emerges victorious on Sunday at Rufaro Stadium on Sunday in the semi-final clash will most likely lift the coveted trophy. The two teams are having contrasting fortunes in the Castle Lager Premiership as Dynamos FC are languishing in the relegation zone while Triangle is fighting for a top four finish as they are currently on fourth position with 3 points ahead of Harare City on fifth place. The game on Sunday presents a perfect opportunity for both teams to end the season with some silverware and winning the Chibuku Super Cup carries with it the ticket to represent the country at continental level. Speaking to The Mirror ahead of the game in the capital, Triangle gaffer, Taurai Mangwiro was bubbling with confidence despite suffering a morale sapping 1-0 defeat to the the Students at Gibbo Stadium last Sunday. 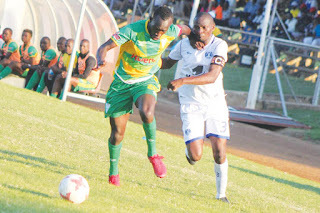 On the other hand Dynamos FC seems to have remembered how to win as they have gone on a two game unbeaten run where they accounted for giants Caps Utd and former champions army side Black Rhinos though controversially. “Our main focus today (Wednesday) is on our fixture against Mutare City, but in as far as Chibuku is concerned we are ready to face Dynamos and hope to easily progress to the finals and eventually bagging the trophy. “We are not just aimed at winning this prestigious trophy but also to represent our nation in the CAF and that is also motivating us. So come Sunday the boys will be raring to go and Dynamos would be dumped from the Cup,” said Mangwiro who could not hide his excitement at meeting Dynamos FC. In the quarter finals Sugar Sugar Boys humiliated Nichrut FC aka Mashurugwi 5-1 before their ardent supporters at Gibbo Stadium while Dynamos FC dismissed Herentals FC 5-4 on penalties. In 2017 both teams failed to go past the first hurdle when Dynamos FC fell to Bulawayo 2-1 at Rufaro while Black Rhinos accounted for Triangle in similar fashion. Reigning Chibuku Super Cup champions Harare City will take on Caps United in the other semi finals in Harare.